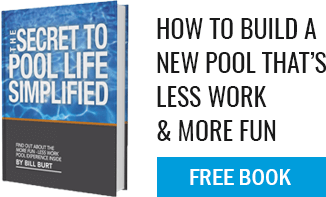 A gunite pool is the strongest, longest-lasting type pool one can buy. Every inground gunite pool, even the most basic rectangular one, is custom built. There are no forms or prefabricated kits to choose from so there are many options to consider, including the size and location of stairs, benches, size and shape of sun shelf and depth of the pool. Plus, there are no additional costs for a custom inground gunite pool. 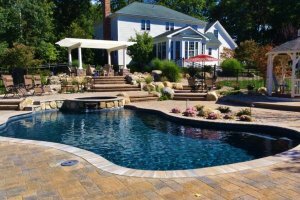 We start with a design/shape and then customize every detail so that the result is an inground gunite pool that is beautiful, customized to the way YOU will use it. 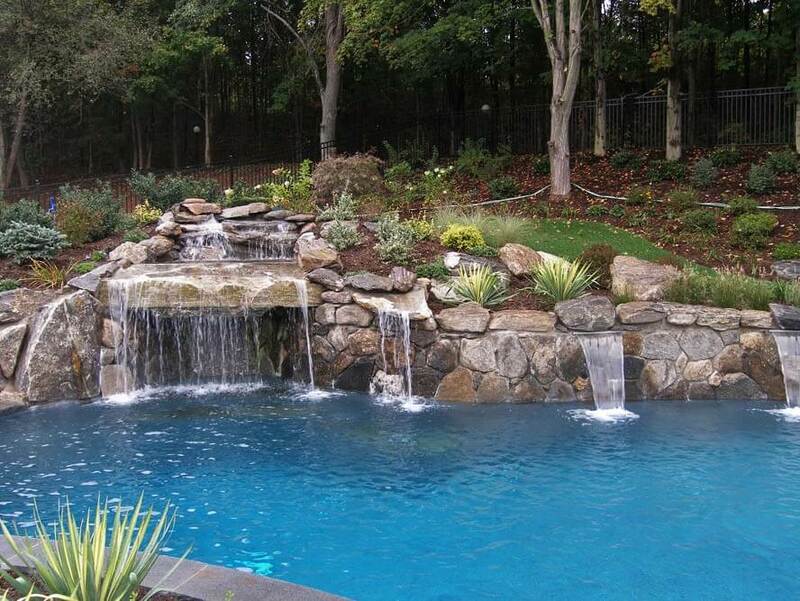 A gunite pool is the only pool engineered to respect the movement of the earth in the harsh New England weather. Gunite is a sprayed cement, hand applied over a mesh rebar skeleton, producing a structurally superior pool versus any other type of inground pool. A gunite pool is meant to last a lifetime and will be less expensive to own, over time, than any other type of pool. Commercial inground pools are almost exclusively gunite pools, as they last the longest, stand up to the harshest environments, and are the least expensive to own over time. Hotels, condos, etc. build pools because that’s what their clients want, so they build the longest-lasting pool—gunite. Every in-ground pool requires water testing, water balancing and some basic service. 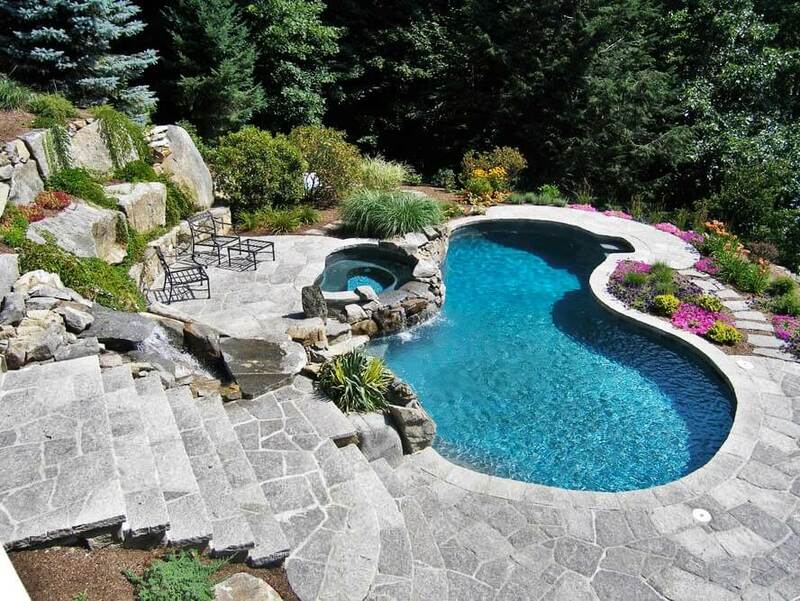 An inground gunite pool will stand up over time better than any other type of inground pool. 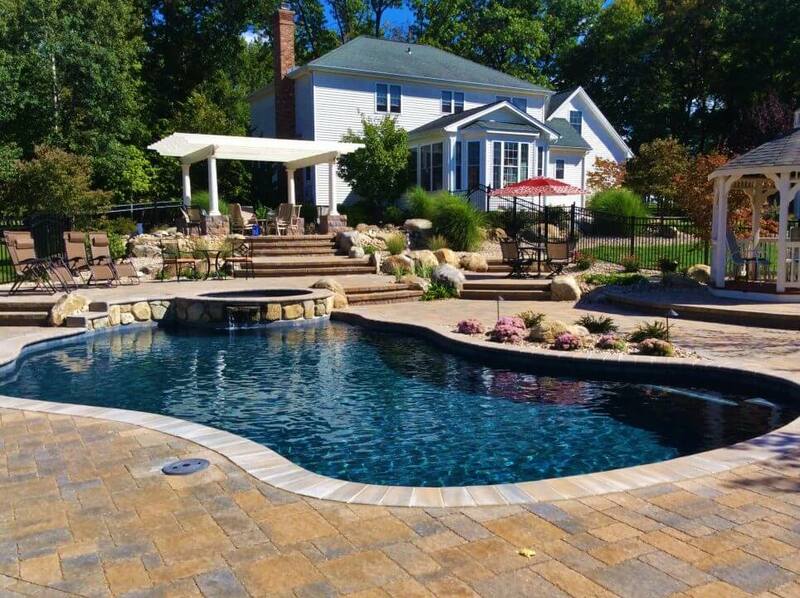 With some basic maintenance (the same maintenance required for ALL inground pools), a gunite pool gives our customers the most worry-free pool ownership possible. Look further than the internet (not everything one reads there is true). Do your homework. 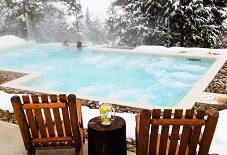 Aqua Pool builds the highest quality, custom inground pools possible. We offer only gunite pools as we believe in providing our clients with the highest quality inground pools with the highest quality options and services during and after construction so that the result is a beautiful, custom, handcrafted gunite sculpture that will last longer than any other type pool out there.